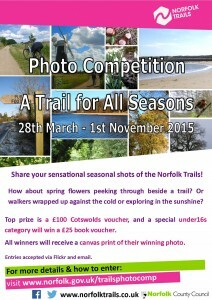 Norfolk Trails are running a new photo competition for 2015 called ‘A trail for all seasons’, to encourage more use of the trails throughout the year. How about a photo of walkers wrapped up against the cold or spring flowers next to the trail? The competition is open for entries until 1st November and each person can submit up to 5 photographs. 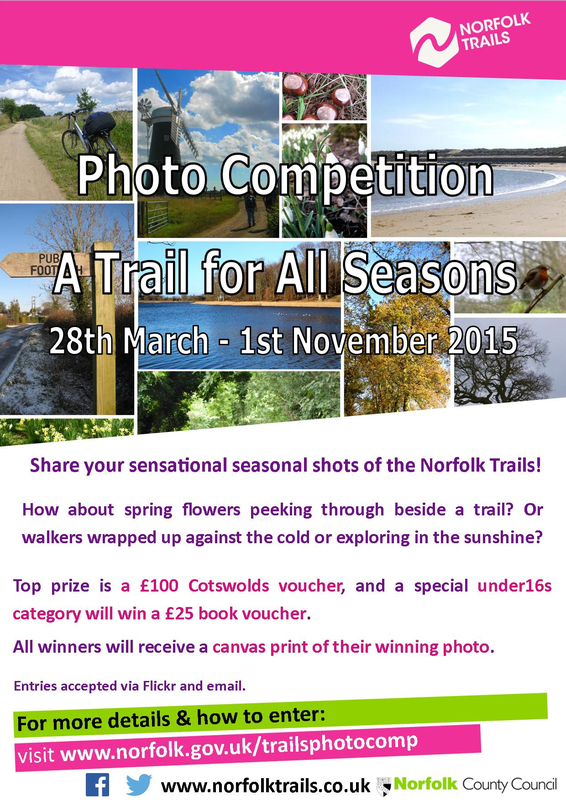 There are some great prizes including a top prize of £100 Cotswold voucher and the winning photo as a canvas print. Plus there’s a special under 16s category, so why not get the whole family involved?